Ginger root, or the rhizome of the flowering ginger plant (Zingiber officinale), has been cultivated for millennia for use as both a spice added to food as well as a tonic used to cure ailments. Though originating in Southeast Asia, ginger was used extensively by the Romans up until the fall of the Roman Empire where it then began being more widely traded and slowly crept into homes around the world. This widely consumed rhizome has been used fresh, dried, powdered, or as a juice or oil for more than 4,700 years. Rich in history, the Indians and ancient Chinese often used ginger to treat a variety of ailments. While this delicious and nutritious root is originally from Southeast Asia, it was soon cultivated in many other countries for medicinal and culinary purposes. Once these cultures discovered the medicinal properties of ginger, they realized its value. Today, India, Jamaica, Fiji and Australia also commonly produce the ginger root. Potent, aromatic, and spicy, ginger’s primary bioactive ingredient is gingerol, which research has shown serves as both an anti-inflammatory as well as a cancer-fighting antioxidant. Its ability to fight feelings of nausea and indigestion, from morning sickness to seasickness to nausea associated with chemotherapy treatments, has also been illustrated in recent studies. Gingerol and the additional compound shogaol, found only in dried or cooked ginger root, are quickly absorbed by the body and both increase gastric tone as well as relax intestinal muscles to release built up pockets of gas. It is known to improve the body’s absorption of nutrients and minerals. By stimulating gastric and pancreatic enzymes, ginger helps your body to break down and absorb extremely important nutrients, including helping transport food from your mouth through your body. Ginger has repeatedly demonstrated powerful blood sugar balancing effects. It acts on insulin release and sensitivity, and supports the metabolism of carbohydrates and lipids. In one study, insulin levels noticeably lowered with ginger supplementation. In addition to its effectiveness as a blood sugar stabilizer, ginger has also demonstrated powerful protective effects against diabetic kidney, eye and liver complications. Clinical studies have proven ginger’s effectiveness at calming nausea and vomiting. Research has also confirmed its potential against chemotherapy-induced nausea and vomiting. 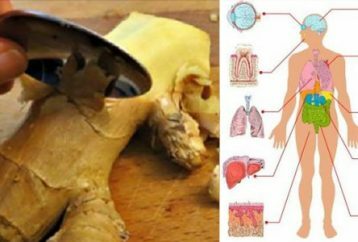 Ginger may be a powerful option for those suffering from toxic medical procedures like these. Slice the ginger and add it in boiling water, then add honey and lemon here. This also removes congestion in the nasal paths. Ginger’s pungent flavor can serve as an appetite stimulant by working on the taste buds. For people who are experiencing poor appetite, drinking ginger-made juices and teas can help alleviate this problem.